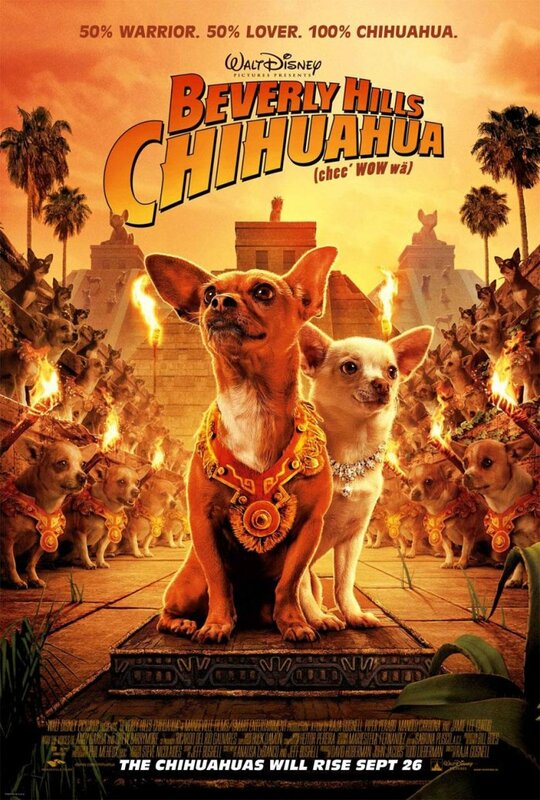 I find it hard to believe that Beverly Hills Chihuahua isn’t going to be crap. I mean, look at the plot outline: “While on vacation in Mexico, Chloe, a ritzy Beverly Hills chihuahua, finds herself lost and in need of assistance in order to get back home.” And even more damning is the fact that this is directed by Raja Gosnell, of Scooby Doo infamy. But I would be lying if I said I didn’t get a kick out of the poster. It’s so wonderfully odd. The faux Aztec architecture. The Indiana Jones style title treatment. The unnecessary phonetic transcription. The sense of great adventure. And all those damn chihuahuas. From a marketing standpoint, I’m sure this will go over gangbusters with the intended audience. If you at all likely to find the premise interesting how can you not find the poster adorable? And it’s not a image you are likely to forget soon. This strikes me as being close to the perfect poster for this particular film.